Evernote is one of the popular to-do list apps that is designed to help take notes, organize and prioritize ideas and create lists to keep productive and on track. Although the options Evernote offers can be very helpful, there are some areas where it could introduce potentially more useful features – especially for the price. Some of the more prominent features Evernote lacks and which can be found in other apps include task creation and management including time tracking. Plus, for a tool that merely lets you jot down ideas without giving you options for listing tasks or monitoring progress, the price is a little steep. Check out the following tools as your Evernote alternatives or Evernote replacement today. These can be a better deal for notetaking and productivity apps. The first on our list of the best Evernote alternatives is nTask. Primarily a task management software, this tool offers one of the best deals when it comes to the price vs value comparison. You can use this app to work with teams or keep a track of your productivity levels. Comprehensive task and project management modules help you break down your work into easily manageable pieces. nTask is a great choice if you’re looking for an all-in-one tool which works for your personal needs as well as a complete project management software. You can take notes as tasks and assign them to project folders as lists. Plus, you can attach any kind of file, image or document, as additional notes to a task. In addition, you can track your progress and even share your ideas/tasks with teams and third parties. All of this at one of the most competitive prices the app market has seen in a while. Alerts, notifications, and reminders to stay on track. Multiple team specific workspaces that can be managed and monitored simultaneously. Meeting management module including arranging and scheduling meetings (one time or recurring), send invites to attendees, add meeting details and specify follow up procedures. Issue management module to facilitate identification and listing down of issues related to multiple tasks. List down the issue along with the Issue owner and relevant details to track issue maintenance. Timesheets management module for creating and managing team specific sections for employee task efforts and payroll. Risk management module helps you identify and keep track of potential risks. Arrange risks in lists and assign a risk owner in order to track risk management. Powerful search and filter tools to search for tasks, projects, meetings, issues, and risks. Filter option to save more frequent searches. Looking for the perfect Evernote alternative? See for yourself why Evernote users are switching to nTask. Create unlimited, tasks, meetings, risks, issue & more. At a very reasonable price compared to Evernote, Todoist can easily be considered as a great alternative to Evernote. Making use of a multitude of options, Todoist helps you capture ideas, and manage them as tasks and projects. You can stay organized while measuring tasks progress with visuals. In order to help you keep going, Todoist makes use of fun features such as Karma points and levels. Plus, it helps you save time by offering templates you can adapt instantly without worrying about the layout. To keep a better view of the more important matters at hand, you can color code tasks and prioritize them. Plus, Todoist is not just for personal use. You can delegate tasks to other team members to expedite the process. Also, with automated reminders and backup of data, you do not have to worry about missing out on tasks or losing any sort of data. Keep and Share is another one of the best Evernote alternatives. This is primarily due to a larger set of features it offers and, more or less, priced in close proximity with Evernote. To begin with, you can start your day with a to-do list in the form of text, images or other files with Keep and Share. Neatly placed on your calendar, your notes can be written directly or uploaded. You can even collaborate on them with your friends and family. This makes it easier to carry out a combined task. The tasks can be set with multiple statuses depicting how much is left to be done. If you run and/or manage a website, you can even embed these files there and set them as downloadable. Selective sharing of tasks ensures your lists stay discreet and your plans secure. Discussions and sending group messages is another perk this tool offers. Team with 5 plans ranging from $19 per month to $149 per month. The 4th place on this roundup of the best Everonote alternatives goes to Casual. With Casual, you can do more than just take notes and share them with others. It offers features that let you illustrate tasks to be done through visual representations. It helps you covers multiple stages of tasks from inception to planning. The best part is you can draw tasks as well as connect them with their dependent tasks through easy and effective flowcharts. Another great feature is that without having to draw from scratch each time, you can use created tasks and snippets of existing flowcharts to create new lists. If you are working in teams, you can easily assign the tasks to individual team members. Pick one of the pricing plans and start off with Casual for personal use and professional collaboration. 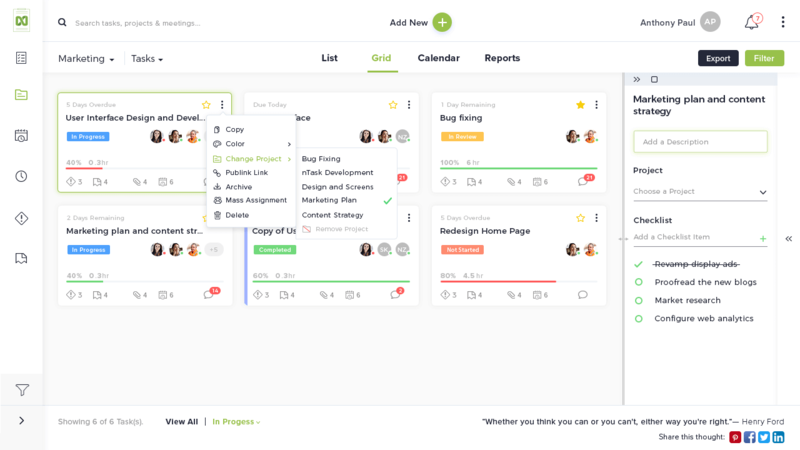 Manage tasks through creation, assignment, and prioritization. Turtl grabs the 5th spot on our roundup of top Evernote alternatives. Turtl is more than just an online notepad as it helps you store just about anything including bookmarks, passwords, files, and lists. This all in one storage is your perfect Evernote replacement especially if you are looking for a free app with a detailed feature list. You can share lists with teams and ensure a backup to prevent any loss of information. One of the best features is TeX math rendering, which can be particularly helpful if you are in the Mathematics domain – professors and students alike. Also, you can write fully formatted notes in the Markdown format directly. This saves you the extra step of refining your notes into a refined document before sharing. Attach photos, files, and documents to notes. Search your notes with text queries or using tags. Keep your profile backed up with import/export. Turtl is entirely free at the moment. Dropbox Paper provides a neat interface and is a beautiful addition to best Evernote alternatives. A simple to use tool, Dropbox Paper doesn’t swamp you with complicated features. It provides a shared, collaborative space to connect with your team and work on different ideas simultaneously. Instantly invite team members and assign them to-dos to ensure accountability. You can also set due dates to define the level of urgency. Easily attach files and add comments to give more context to your document and make things clear for everyone to understand. A fun part about Dropbox Paper is that you can add emojis to better express your feelings and give feedback with better visualizations. Furthermore, you can connect your calendar with Dropbox Paper to keep an eye on all of your deadlines, including meetings, so that you never have to miss an update. If you’re looking for a powerful, all in one Evernote alternative, Notion is for you. The tool combines together multiple functionalities into a single solution, so you don’t have to switch applications to get things done. Through native templates, you can quickly get started. These templates range from simple to-do lists, notes and drafts, to more elaborate tasks and issues. These templates give your team a head start and eliminate the hassle of building everything from scratch. Notion also comes with a knowledge base which acts as a centralized location to store all of your critical team data to be accessed instantly whenever required. Another useful feature of the tool is the spreadsheets functionality. You can keep track of your workflows through spreadsheets, and use them for light weight CRM. The next addition in this review of best Evernote alternatives is a beautiful tool designed for Mac and iOS devices – Bear. The aesthetically pleasing design and smooth interface of the tool sets it apart from other note-taking applications. There are many useful features the tool comes with to help you with your note writing. For instance, the note linking functionality allows you to build a workflow, which can further be organized by assigning hashtags. Another interesting feature of the application is that you can easily set word counts and reading times to your articles. Furthermore, you can also convert your writing into PDF or Word docs in a jiffy and share them with anyone you like. In addition to this, multiple themes and dark and light mode allow you to customize your writing the way you want. On #9, we have Zoho Notebook. It may not be the ultimate Evernote alternative, but still has lots to bring to the table. If you’re looking for a simple to use note-taking app that is free from the frustration of add-ons, Zoho Notebook might be best suited for you. Jot down your notes easily through Text Cards and create to-do lists within those cards to further make things streamlined for you. You can also clip any text or images you find online with the Text Card through web clipping functionality. For your meetings, lectures, or conversations, Zoho Notebook comes with a dedicated audio card through which you can easily record them. If you’re using iOS 10 and above, these audios will be automatically transcribed for you to easily text-search them. If you’re prone to messier note management, the Smart Card functionality is for you. It lets you quickly add context to any type of content you save in your notebook. Saved a link to your favorite recipe? Smart Card will automatically create a list of ingredients and a step-by-step guide to execute it successfully. If quickly creating simple to-do lists is your forte, Google Keep is what you need right now. Although, like other Evernote alternatives, Google Keep doesn’t have a powerful set of features, but it still passes as an easy note taking platform. Primarily, you can make quick lists in Google Keep which can be accessed from any device. You can write all your important to-dos, save pictures and voice notes, and check off the tasks that you’ve successfully done. The application is connected to Google Drive which further makes syncing with multiple devices easy. Google Keep is free for all.